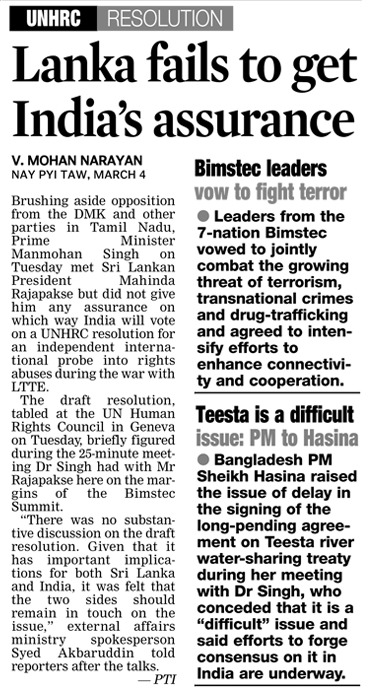 Prime Minister Manmohan Singh on Tuesday gave no firm indication to Sri Lankan President Mahinda Rajapksa on which way India would vote at the United Nations Human Rights Council (UNHRC) meeting in Geneva later this month when it takes up a resolution censuring the island nation for war crimes. The two leaders met here in the afternoon for about half an hour on the margins of the BIMSTEC Summit and discussed a range of issues, including the plight of fishermen and reconciliation between the two communities in Lanka. The PM was of the view that the fishermen issue must be tackled in a humane manner by both countries. MEA spokesperson Syed Akbaruddin said the PM told Rajapaksa that India was yet to study the draft of the resolution on Lanka that was circulated among UNHRC member countries last night in Geneva. “The resolution has important implications for our countries and, therefore, we have to keep in touch,” Singh said. The draft resolution, sponsored by the US, the UK, Montenegro, Macedonia and Mauritius, is believed to have expressed alarm at the rapid rise in violence and discrimination on the basis of religion or belief, particularly against members of religious minority groups, in the island. The draft also welcomed the UN Human Rights Commissioner Navi Pillay’s recommendations and conclusions on the need for an independent and credible international probe into human rights violations in Lanka. However, it refrained from calling for any sanctions against Colombo. India voted against Lanka at the UNHRC in 2012 and 2013, upsetting Colombo. This time again, the UPA government is treading cautiously on the issue, keeping in mind the overwhelming sentiment in Tamil Nadu that India should vote against Lanka. The PM also held talks with Bangladesh Prime Minister Sheikh Hasina at which he told her that India was seeking to build consensus over the proposed Teesta water sharing accord with Dhaka. However, there was no impediment in the water flow in the absence of the accord. Sheikh Hasina thanked India for supplying 500 MW power to her country, saying the move has had a positive impact in Bangladesh. On the Land Boundary Agreement (LBA), she indicated Dhaka’s happiness that the historic accord had at least now moved to Indian Parliament for ratification. Accepting Prime Minister Manmohan Singh’s suggestion, the BIMSTEC nations today resolved to enhance cooperation to combat terrorism and transnational crimes besides strengthening trade and economic ties. In a joint declaration issued at the end of their day-long summit, leaders of the seven BIMSTEC (Bay of Bengal Initiative for Multi-Sectoral Technical and Economic Cooperation) countries called for expediting the ratification for entry into force of the BIMSTEC Convention on Cooperation in Combating International Terrorism, Transnational Organised Crimes and Illicit Drug Trafficking and also for the early signing of the BIMSTEC Convention on Mutual Legal Assistance in Criminal Matters. The summit leaders also directed their officials to expedite their work for the conclusion of the Agreement on Trade in Goods by the end of this year and to continue their efforts for an early finalisation of the Agreement on Services and Investments. Apart from Manmohan Singh, the summit was attended by Myanmar President U Thein Sein, Sri Lankan President Mahinda Rajapaksa, Bangladesh Prime Minister Sheikh Hasina, Nepal Prime Minister Sushil Koirala and Bhutan Prime Minister Lyonchhen Tshering Tobgay. Thailand Prime Minister Yingluck Shinawatra gave a miss to the summit in view of the political turmoil in her country. Thailand was represented by Foreign Minister Sihasak Phuangketkeow. 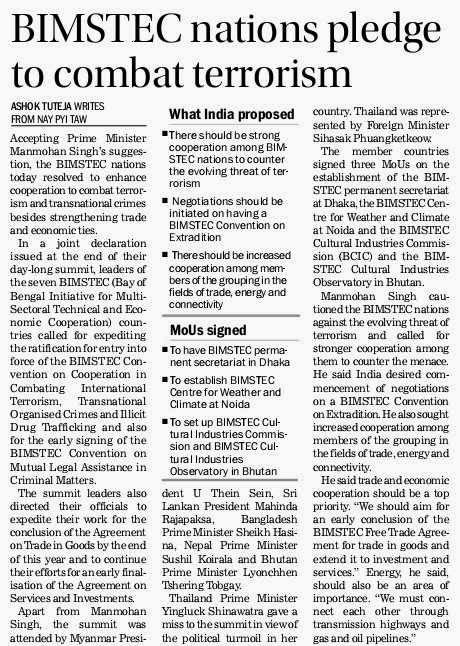 The member countries signed three MoUs on the establishment of the BIMSTEC permanent secretariat at Dhaka, the BIMSTEC Centre for Weather and Climate at Noida and the BIMSTEC Cultural Industries Commission (BCIC) and the BIMSTEC Cultural Industries Observatory in Bhutan. Manmohan Singh cautioned the BIMSTEC nations against the evolving threat of terrorism and called for stronger cooperation among them to counter the menace. He said India desired commencement of negotiations on a BIMSTEC Convention on Extradition. He also sought increased cooperation among members of the grouping in the fields of trade, energy and connectivity. Through a rear-guard action on one rank, one pension (OROP) last fortnight, the UPA government tried to make up on its inaction on this and other issues pertaining to soldiers' welfare during its 10-year tenure. The decision was widely hailed, especially by soldiers who are at the fag-end of their life. However, by accepting the resignation of the Chief of Naval Staff, Admiral DK Joshi, post-haste last week, the government appears to have willy-nilly undone its recent gains. One's heart goes out to the families of the two naval officers who lost their lives in the recent submarine accident involving INS Sindhuratna, where a fire was reported from the battery compartment. The August, 2013, accident, which cost the lives of 18 sailors and sent the INS Sindhurakshak to the bottom, was even more tragic. It was indeed in the best traditions of the service that Admiral Joshi put in his papers accepting moral responsibility for these incidents. In fact, it is in line with the folklore of a captain going down with his sinking ship. Joshi has indeed set a very high moral standard, which his peers and successors may find hard to emulate. Accountability has been rare in the military history of post-Independence India. The example of Gen KS Thimayya, who resigned following differences with the Defence Minister, VK Krishna Menon, is often quoted and also how the Prime Minister, Pandit Jawaharlal Nehru, persuaded him to withdraw his resignation. In 2005 Admiral Arun Prakash offered to resign after the name of one of his relatives figured in the naval war room leak case. Many commanders speak eloquently about the traditional ideals of military virtue but few actually practise what they preach. There have been numerous claimants to the victories in the 1965 war and the conflict on the Siachen glacier in 1984, but few had the moral courage to own responsibility for the 1948 Kashmir losses and later the humiliation of 1962 against China (although Gen PN Thapar, the then Army Chief did put in his papers). So also for the disastrous conduct of Operation Bluestar in 1984 and the IPKF fiasco or later for the Kargil botch-up, where more than 500 soldiers were pushed on the killing fields and 1,200 maimed for life. Did any Chief of the Indian Air Force take responsibility for the MiG aircraft crashes? Against this background, Admiral Joshi indeed stands tall. But that is as far as the Navy and its ethos go. By accepting his resignation without even a blink, the government has apparently found an easy scapegoat to ward off criticism of its own lapses. But in doing so, it has overlooked a number of points, which are of paramount importance. While accountability for any mishap is a must, it should start at the cutting edge, and not from the very top, unless, of course, its magnitude is of a catastrophic nature. In this case, besides the captain of the submarine, the next man up the line is the Commodore Commanding Submarines, West (COMCOS-W) under whose command the submarine squadron operates. A similar arrangement exists in the Eastern Command. Unlike other warships, COMCOS-West does not function under the fleet commander but directly under the Flag Officer Commanding-in-Chief (West), who in this case was Vice Admiral Shekhar Sinha. He is the Submarine Operating Authority (West). 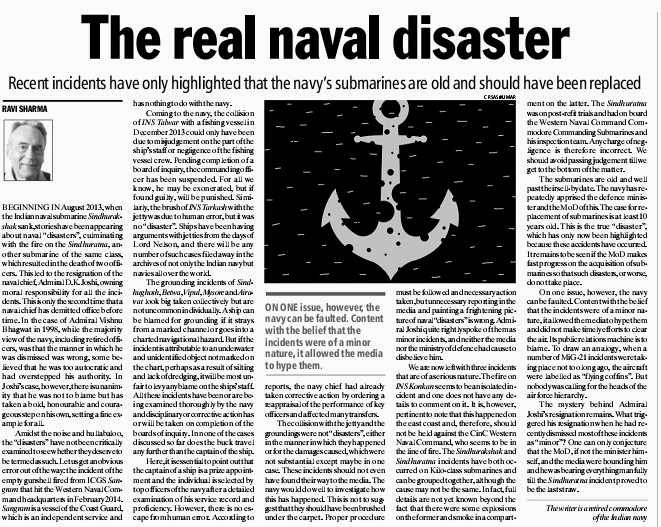 In view of the peculiar nature of the chain of command for submarines, the government should have with held Admiral Joshi's resignation and waited for the probe report to be finalised to establish wrong-doing, if any. Obviously, in this case, the entire submarine chain of command, including the Flag Officer Submarines, headquartered at Vizag, who is responsible for all submarine matters and also the Assistant Chief of Naval Staff (Submarines) at the Naval Headquarters would be involved. Two, in this case, since the submarine was still undergoing sea trials and there was an inspection team on board, the Navy Chief, at least on the face of it, can hardly be blamed. 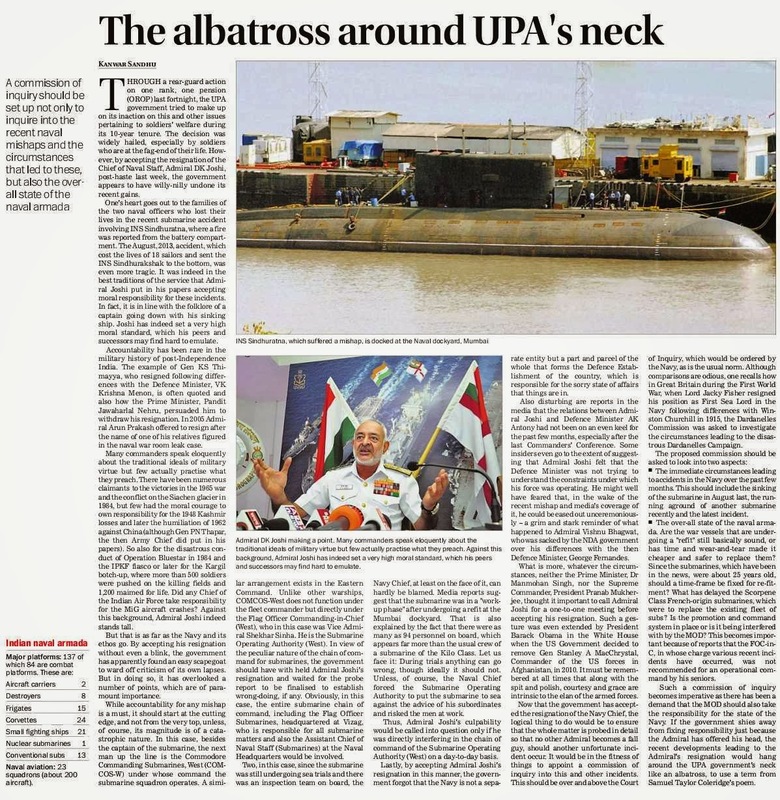 Media reports suggest that the submarine was in a "work-up phase" after undergoing a refit at the Mumbai dockyard. That is also explained by the fact that there were as many as 94 personnel on board, which appears far more than the usual crew of a submarine of the Kilo Class. Let us face it: During trials anything can go wrong, though ideally it should not. Unless, of course, the Naval Chief forced the Submarine Operating Authority to put the submarine to sea against the advice of his subordinates and risked the men at work. 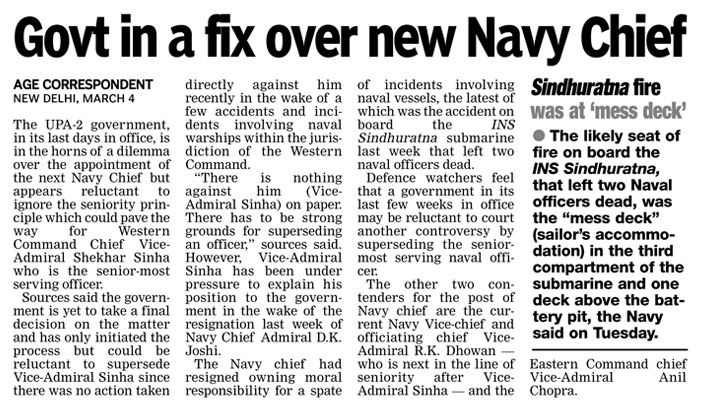 Thus, Admiral Joshi's culpability would be called into question only if he was directly interfering in the chain of command of the Submarine Operating Authority (West) on a day-to-day basis. Lastly, by accepting Admiral Joshi's resignation in this manner, the government forgot that the Navy is not a separate entity but a part and parcel of the whole that forms the Defence Establishment of the country, which is responsible for the sorry state of affairs that things are in. Also disturbing are reports in the media that the relations between Admiral Joshi and Defence Minister AK Antony had not been on an even keel for the past few months, especially after the last Commanders' Conference. Some insiders even go to the extent of suggesting that Admiral Joshi felt that the Defence Minister was not trying to understand the constraints under which his force was operating. He might well have feared that, in the wake of the recent mishap and media's coverage of it, he could be eased out unceremoniously – a grim and stark reminder of what happened to Admiral Vishnu Bhagwat, who was sacked by the NDA government over his differences with the then Defence Minister, George Fernandes. What is more, whatever the circumstances, neither the Prime Minister, Dr Manmohan Singh, nor the Supreme Commander, President Pranab Mukherjee, thought it important to call Admiral Joshi for a one-to-one meeting before accepting his resignation. Such a gesture was even extended by President Barack Obama in the White House when the US Government decided to remove Gen Stanley A MacChrystal, Commander of the US forces in Afghanistan, in 2010. It must be remembered at all times that along with the spit and polish, courtesy and grace are intrinsic to the elan of the armed forces. Now that the government has accepted the resignation of the Navy Chief, the logical thing to do would be to ensure that the whole matter is probed in detail so that no other Admiral becomes a fall guy, should another unfortunate incident occur. It would be in the fitness of things to appoint a commission of inquiry into this and other incidents. 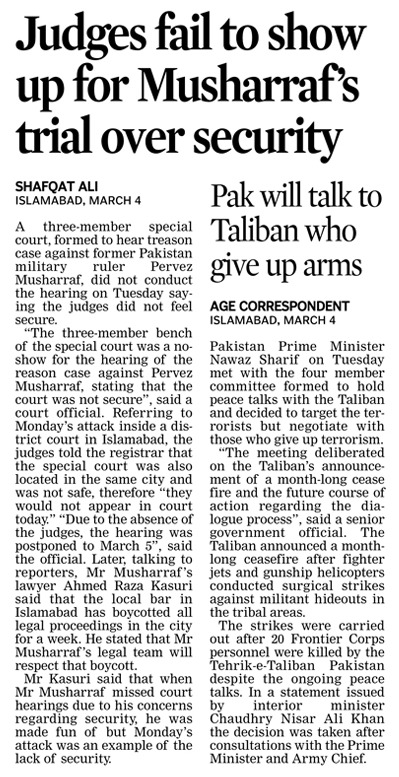 This should be over and above the Court of Inquiry, which would be ordered by the Navy, as is the usual norm. Although comparisons are odious, one recalls how in Great Britain during the First World War, when Lord Jacky Fisher resigned his position as First Sea Lord in the Navy following differences with Winston Churchill in 1915, the Dardanelles Commission was asked to investigate the circumstances leading to the disastrous Dardanelles Campaign. The immediate circumstances leading to accidents in the Navy over the past few months. This should include the sinking of the submarine in August last, the running aground of another submarine recently and the latest incident. The over-all state of the naval armada. Are the war vessels that are undergoing a "refit" still basically sound, or has time and wear-and-tear made it cheaper and safer to replace them? Since the submarines, which have been in the news, were about 25 years old, should a time-frame be fixed for re-fitment? What has delayed the Scorpene Class French-origin submarines, which were to replace the existing fleet of subs? 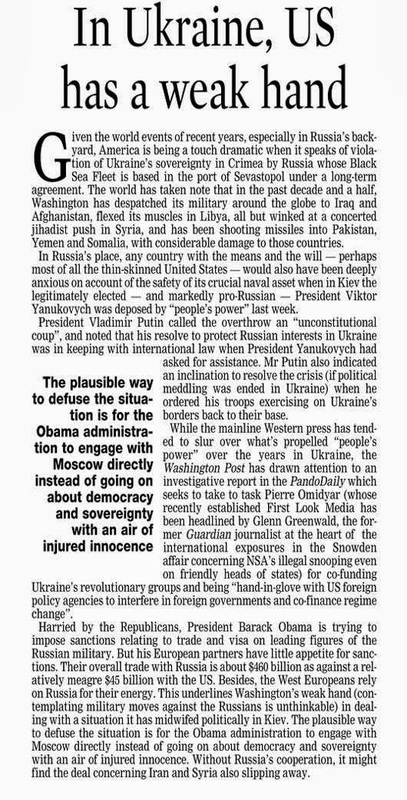 Is the promotion and command system in place or is it being interfered with by the MOD? This becomes important because of reports that the FOC-in-C, in whose charge various recent incidents have occurred, was not recommended for an operational command by his seniors. Such a commission of inquiry becomes imperative as there has been a demand that the MOD should also take the responsibility for the state of the Navy. If the government shies away from fixing responsibility just because the Admiral has offered his head, the recent developments leading to the Admiral's resignation would hang around the UPA government's neck like an albatross, to use a term from Samuel Taylor Coleridge's poem. Continuing her diatribe against the Congress-led UPA government, AIADMK supremo and Chief Minister Jayalalithaa today accused it of failing to modernise the Indian armed forces and turning the Defence sector a 'defenceless' one. Virtually targeting Defence Minister A K Antony and the government in entirety, Jayalalithaa said the Centre's alleged inaction to modernise the defence sector had resulted in issues including dwindling strength of naval fleet and manpower. Referring to two submarine accidents that claimed about 20 lives, Jayalalithaa said "Naval Chief Admiral D K Joshi resigned owning moral responsibility for these mishaps. But I wonder why those responsible for this are still clinging to power", she said but did not mention Antony's name. She said despite CAG's observation in 2009 no anti-fire equipment were purchased for navy submarines which had resulted in fatal fire accidents in INS Sindhurakshak and INS Sindhuratna. The Navy and Air Force were suffering from depleted fleet strength while army was even facing manpower shortage, she said at an election rally at suburban Meenambakkam. "Congress-led Central government has made the Defence department defenceless. The Defence Department has been ignored," she said and reminded people that the Lok Sabha polls was an opportunity for them to rewrite their destiny. The coming elections are also an opportunity to "throw out" UPA government and also teach a lesson to DMK, which had supported the Government at the Centre, she said. Jayalalithaa, during her about an hour long address to a well-attended gathering, focused her attention on the Centre ignoring the sentiments of Tamils on various issues including demand for boycotting CHOGM, retrieval of Katchatheevu island, among others. "Do you need such a government? I am confident that you will remove this government and ensure that AIADMK would have a greater role in the next government at the Centre to fulfill aspirations of people of Tamil Nadu", she said. On her second day into the campaign trail, Jayalalithaa squarely blamed the UPA government for the "untold miseries" faced by people including price-rise, inflation, unemployment, stagnation in agricultural sector and external threats. "Above all, there is rampant corruption. 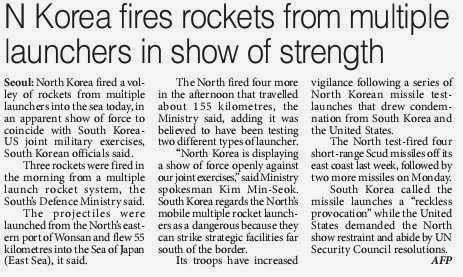 Even the important Defence department is not spared. I haven't seen a worse government," she said in her address from the stage which was designed like Parliament, in line with the AIADMK chief's intention of having a greater say in the next government by being an integral part of it. She likened the UPA government to the colonial British rulers and said much as people then yearned for freedom from the British, people of India now wanted to put an end to the Congress government. The 'anti-people' Congress government was assisted by its former ally DMK even a few months back and her party's main rival had brought 'disrepute' to Tamil Nadu by involving in the 'Himalayan' 2G spectrum allocation scam, Jayalalithaa said, urging people to show the door to both the parties. "This is not an ordinary election but a liberating one; to liberate yourself from external threats, the corrupt empire and to alleviate all your miseries," she said. She appealed to the electorate to give her a stronger mandate than the one given in 2011 Assembly polls that helped her trump DMK and repeatedly asked the crowd if they will do this to which the crowd replied in the affirmative. Harping on the emotional Sri Lankan Tamils issue, Jayalalithaa said despite the state Assembly adopting a series of resolutions including India seeking a referendum for separate Eelam (Tamil homeland) and asking New Delhi to stop treating Sri Lanka as a friendly nation, Centre had responded to none of the demands. The Centre had also failed to rein in the island nation on attacks on Indian fishermen by Sri Lankan navy, she said, adding, due to her consistent efforts, that country was on the one hand releasing arrested Tamil Nadu fishermen and at the same time arresting them. To change this scenario, her hands have to be 'strengthened' to ensure a firm say in Centre's policies in the next government, she said. The Chief Minister also slammed the Centre for submitting in court that Katchatheevu, an islet ceded to Sri Lanka by India in 1974 under an agreement, did not belong to the country. She criticised UPA for its 'flawed economic policies' and reiterated her party's commitment to work towards a change in this regard including reviewing the existing price fixation mechanism for petroleum products. Growing fiscal deficit, depreciation of Indian rupee and dip in exports had left the economy 'shattered,' she added. The Centre was interfering in state rights on issues including policing, by way of the National Counter Terrorism Centre, trying to implement GST and introducing FDI in retail trade, she said. She also recalled her government's various pro-people initiatives in various sectors and pointed out that among others, the free mixer-grinder-fans scheme and supply of free rice had benefited lakhs of people. 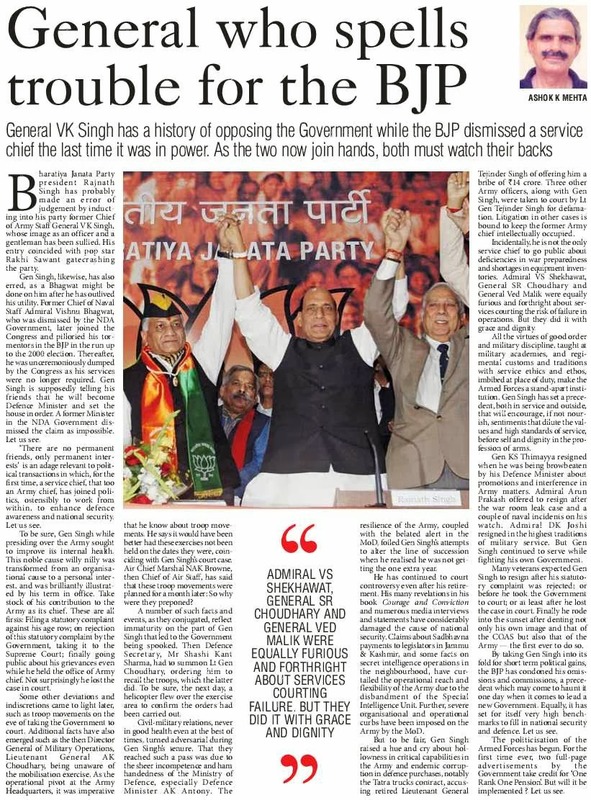 The formal joining of former Indian Army Chief of Staff General Vikram Singh in BJP must have come as a shot in the arm for Modi's brigade. His joining was preceded by that of the joining of former Commissioner of Mumbai Police Satyapal Singh, former head of Research and Analytical Wing (RAW) Sanjiv Tripathi as well as former Home Secretary RK Singh. Rumours are also afloat about the strong possibility of former IPS officer Kiran Bedi joining BJP soon. In the hindsight one is forced to contemplate what is making so many former men in uniform and some exceptional administrators rooting for Modi? Is it just for the heck of it because the wind is blowing in that direction or is it that there are serious flaws with respect to India's defence and security policies that is making many look for an alternative and a strong government which can take decisive steps in correcting the flaws? The Unacceptable Pacifist Approach.... Over the last few years, Indian Armed Forces have literally been at the receiving end of sheer indifference and disdain of the Indian Government. The issues range from complete inability of the Ministry of Defence and the Government at large to buy critical equipment on time, to remaining silent on the issues of Pakistani soldiers frequently crossing the Line of Control and ambushing Indian soldiers to a series of intrusion by the Chinese forces in Ladakh region. On each of the latter mentioned counts the Indian Government's pacifist approach towards China and Pakistan has miffed many including the armed forces. Does the Government have a Policy to Counter Maoist Violence? The same is the case with the Government's approach to fighting the Maoists. UPA seems to be completely clueless as to how to deal with the Maoist menace. Even though the Prime Minister of India had stated in the past that the Maoists pose the single biggest internal security threat to India and even though the Maoists have been involved in some of the most brutal massacres of police personnel including the killing of 76 jawans of CRPF in Dantewada in 2010, the approach of UPA seems to be see-sawing between a hard and a soft approach. The Government continues to deal with Maoist problem as a law & order issue even though Maoists are militarily preparing themselves to literally strike major Indian cities and industrial infrastructures. With reports of them having a fund base of nothing less than Rs 1500-2000 crore, the presumption of Maoists being a rag tag army of peasants does no longer hold good. They are more so sophisticated and ruthless than New Delhi presumes them to be. The Plight of the Central Police Forces Further, the Government has failed completely to keep the morale of the Central Police personnel up and over the last few years more than 65,000 Central Police personnel in total quit the jobs with 16,000 jawans and officers quitting CRPF alone in the last four years. Devoid of even the basic promotions, amenities, timely sanction of leaves and lack peacetime posting has led to massive frustration among the paramilitary forces. Issues of fratricide and suicides have been to major rise too. Politics of Appeasement over War on Terror Likewise India's war against terror continues to be a blind man's quest for water in a desert. Probably there is no other country which has been so soft in terms of dealing with terror as India has been. The more shocking saga is that of the manner in which terrorism has been politicised and efforts have been made to give a communal angle to all of it. Be it the attempt of the Uttar Pradesh Government to get Muslim terror accused released or be it the attempt of the Home Ministry to send advisory to the states that innocent Minority youth should not be arrested, each of these attempts are a sheer blot on the war on terror. The question is why should the police be told to be careful about minority youth only? Does that mean that youth of the majority community can be detained and kept without trial for years and then it is not a crime? No innocent should ideally be arrested or punished be it from any community but at the same time a situation should not be made that police personnel become scared of arresting anyone for fear of persecution in case of an error in judgement. Yet even as these debates continue, Indian Mujahideen continues to trigger explosions at will, be it at Bodh Gaya, the Patna Rally or at several other cities. Moreover, the criminal prosecution as well as investigation architecture continues to be so flawed and so much inter organisation turf war continues that on several occasions terrorists were acquitted by courts because the prosecution failed to provide a fool proof case. The Plight of the Indian Borders The situation in the borders is none better either. To keep the Bangladeshi Government in good humor, the Ministry of Home Affairs had issued a directive a couple of years back in which it had put severe restrictions on the power of BSF to fire at illegal infiltrators. Taking advantage of the situation and knowing well that BSF has been barred from firing on Bangladeshis, on several occasions Bangladeshi smugglers and cattle traffickers have brutally beaten and killed BSF personnel. The hapless BSF personnel have no option but to get beaten up because if they fire in retaliation and if Bangladeshis are killed in the process then the very Government of India on whose behalf they are guarding the borders, would prosecute and persecute them for killing Bangladeshis even though that Bangladeshi may be a terror agent, a supplier of fake currency notes or explosives or a human trafficker. BSF has been literally made to do duty with hands tied even as massive infiltration of Bangladeshis continues to create major demographic problems for many of India's states. The Appalling state of India Defence Equipment Procurement Programme And last but not the least is the appalling condition of the Indian Armed Forces so far as its equipments are concerned. In the recent past the Indian Chief Air Staff Air Marshall has made it clear that in case there is a joint attack by China and Pakistan, it would be difficult for Indian Air Force to counter that. This revelation does not mean that Indian Air Force lacks courage or conviction. In the past, the Indian Air Force had often routed Pakistan Air Force with elan. The revelation of the IAF chief is a reflection of the sheer indifference and appalling level of delay in taking critical decisions on acquisition of key equipment that the fighting capability of the armed forces is severely getting compromised. There is no denial of the fact that Indian Armed Forces have often compensated the lack of quality equipment with their own personal valour which even the enemies of India would accept. But there is a limit to how much raw courage can compensate for critical equipment whose procurement keep getting delayed thanks to bureaucracy which takes pride in delaying and a political leadership whose concerns about India's security is becoming a matter of debate. With exposure of scams leading to stalling of more defence projects one can gauge what would happen if another Kargil were to happen now. All this has been happening because India has failed to bring institutional reforms in the critical weapons acquisition programs. The Agonising Delays that May Cost India Dear.... The squadron strength of the Indian Air Force is coming down at a rapid pace due to the retirement of the ageing Mig-21s. While it would take few more years for India to have a sizeable fleet of the home-grown Light Combat Aircraft, which is yet to get a Final Operational Clearance, after selecting Dassualt Rafale for the deal for 126 Multi Role Combat Aircrafts, the Ministry of Defence has failed to complete negotiations even in two full years knowing well that such delay severely jeopardise the operational readiness of IAF. It takes four years after the signing of the final deal for the first lot of aircrafts to arrive, meaning that even if the deal with Dassualt is signed in 2014, the first aircraft would not arrive before 2018. In between India would continue to have its combat squadrons further depleted due to more retirement of the MiGs. During the recently concluded Defexpo organised by FICCI in Delhi, the Defence Minister stated that the Government has no money left to buy weapons. Already, over the last two years, Government has been systematically cutting down on funds meant for capital acquisition for the armed forces. The excuse of the government about paucity of funds stand hollow against the recent hike in the Dearness Allowance of the Central Government Employees from 90% to 100% which would cost the exchequer an additional Rs 7500 crore expenditure. The mismanagement of the economy keeps on raising the inflation and the Central Government keeps on pouring largesse on its 50 lakh central government employees by spending thousands of crores in additional allowances even while the rest of the country and India's defence forces keep suffering. All these have been happening at a time when China and Pakistan have been modernising and augmenting their arsenal on a war footing. It is not the case of merely the deal of 126 combat jets alone which is hanging in balance. 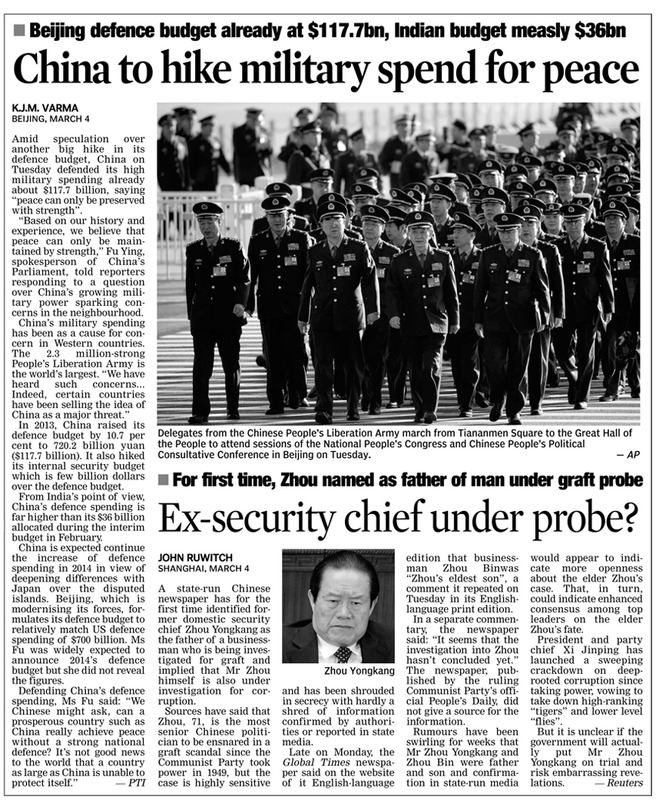 The same goes for the acquisition of much needed M-777 Ultra Light Howitzers that India needs to secure its Himalayan borders against the Chinese intransigence. On several occasions tenders for purchase of helicopters, howitzers, critical missiles and ammunitions have been cancelled for frivolous reasons and on some stray allegations, leaving the armed forces high and dry. Take the case of the recent fire in the Indian Navy Ship INS Sindhuratna where it is alleged that the accident and the subsequent death of sailors were caused by the leakages in batteries which were past their shelf lives and were not replaced because the Ministry of Defence could not take a solid stand to buy batteries on time and instead was mired in litigations filed by one battery company for not being given a chance to sell batteries. 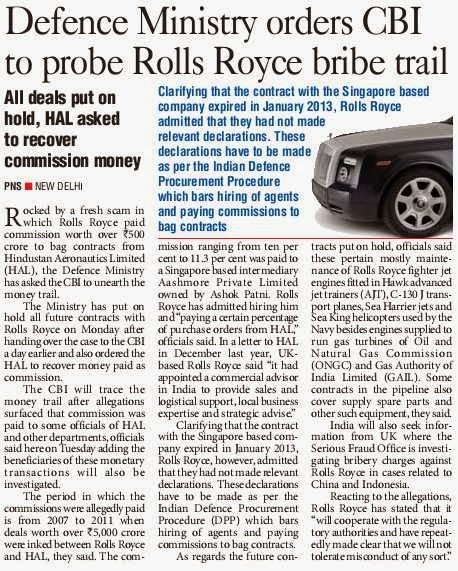 It has happened on several occasions that whoever did not get a contract for selling equipment would file case and then the Ministry of Defence would put the whole contract in perpetual hold to investigate allegations even while India's defence preparedness continue to suffer. While issues of propriety is fine, can there be any space for mischief by those companies who do not win contracts and thus cry foul and make efforts to delay projects or scuttle them altogether at the expense of national security? Does it at all make sense to stall projects midway if such defence projects are critical to national security? The Critical Need to Change the Culture and Bringing in a Sense of Urgency India's defence procurement procedures need massive overhauling and there is a need to bring in a no-nonsense approach to acquisition of critical equipment in a time bound manner. Even while being stringent on issues of malpractice and corruption, it has to be made sure that ongoing projects are not stalled suddenly because they severely jeopardise India's military preparedness. And last but not the least, India needs professional specialists and not arm chair bureaucrats to run critical departments like Defence and Home Ministry. Most bureaucrats running Defence and Home Ministry have extremely rudimentary understanding of strategic and military affairs, more often than not failing to realise the implications of issues, even though exceptions are always there. The officials sitting in the air conditioned offices of Delhi needs to understand the plight of the men on ground be it in the Maoist bastions or in the borders. It is this extreme lack of empathy of the civilian bureaucrats and their failure to understand the problems of the men on ground that has led to the disgruntlement in the forces. Eventually it would not be the babus but the uniformed men who would fight for India. Keeping them content and understanding their problems are extremely critical for the ‘powers that be' as well as for the nation. It is sad that national security has never been part of the national discourse in this country and perhaps that is the reason ruling establishment can take issues of national security and eternal delays in defence acquisition deals for granted. Unless this changes and unless there is public pressure on government to expedite acquisition of critical defence equipment in national interest, men in uniform would continue to suffer and so would be national security. One has to remember that India's enemies are preparing for the next war with alacrity. India might eventually have to pay a heavy price for its casual approach towards defence. It is perhaps for all the above mentioned predicaments that there is a considerable amount of expectation that men in uniform have from Modi that he would possibly apply his same efficient and a no-nonsense approach towards bringing the much needed reforms in India's defence administration and truly secure India from all kinds of external and internal threats. Once again, political foes and media alike are demanding the resignation of Defence Minister AK Antony – this time, a fallout of the INS Sindhuratna accident. This is despite the fact that all through his career – amongst his political detractors as well as journalists – Antony has been much respected and admired for his squeaky clean and transparent image. One wonders – given his character in a political arena where almost every transaction or position comes under the scanner for some corruption or the other – if indeed Antony should resign. Are we ready, as a country, to unseat a man known to be one of the few torchbearers of honesty and integrity in our Government? Who and how Antony will be replaced, should he step down, is another matter. One is forced to question many issues related to him to get a clearer picture of this calm, composed and absolutely straight Union Defence Minister. Antony has been blamed for having been involved in a long battle of ideology and words with former Army Chief VK Singh. But the fact remains that the former General was made of different stuff, perhaps the first one in the history of Independent India’s Army who questioned the Government on several accounts, often embarrassingly in public, which did nothing more than expose the cracks between the Government and its Army. Even senior officers in the Army admit that the rebel streak in Singh is not a good sign for a democratic country. Then, of course, there was the so-called ‘coup’ attempt during Singh’s tenure. According to reports, during the time when VK Singh was the Army Chief, the then Director General of Military Operations (DGMO) had claimed that a panicked Defence Secretary had summoned him to know about the movement of troops on the day Singh approached the Supreme Court and asked that the troops be sent back, sparking rumours of a ‘coup attempt’. “There was a misconception or there was difference in perception or there may be distrust,” Lt General (Retd) AK Choudhary, the then DGMO had reportedly told media. The question now is whether the media is right in highlighting the trust deficit between the Armed Forces and the Executive, or probing the whole incident deeper. Does it not indicate that the Army had lost the confidence of its Government and there was something gravely amiss? After all, who wields the gun? Then there were the cancellation of various defence deals, the alleged bribery case against a former Air Chief in the VVIP chopper scam, and the Tatra Trucks sandal. Should one blame the Defence Ministry or acknowledge the attempts of the Defence Minister to stop a long-drawn practice of corruption within the defence structure of the country? Shouldn’t he be given the credit for at least attempting to make the Armed Forces more transparent and cleanse the system? It’s a known fact within the halls of journalism that scandals don’t break out unless there is someone within the system who is ready to play the whistle-blower, many a time, anonymously. That the numerous exposes within the defence machinery surfaced during Antony’s tenure is proof of the fact that his ‘clean’ image did nudge the moral sense of many to actually make misdeeds public in order to put a stop to them. And, the fact that it was Antony who censured or barred many defence firms from taking the corrupt route to arm India cannot be taken away from him. He has been tough, blacklisting more than half a dozen international defence companies for allegedly taking the middlemen route to India’s arsenal. One wonders, why every time there is an attack on an Indian Army patrol at the Line of Control (LoC) or a scam like the AgustaWestland choppers breaks out or an incident like the INS Sindhuratna accident occurs, there’s a clamour for Antony’s head? There was never such a din for a minister’s resignation when the enemy had occupied forward bunkers in 1999, while the Northern Command Army Chief was tending to his animal farm! How is Antony to be blamed if the Armed Forces of the country are equipped with outdated and rusting weapons, because some minister before his time had allowed all-out corruption and undercutting in its hardware purchases? It is pertinent to note that the Armed Forces have not had much-needed weapons and equipment upgrade for some time now, that the Indian Air Force’s bid to buy 126 multi-role combat aircraft has still not seen the light of day, and the Indian Navy’s submarine fleet is more than 25 years old, even as the ill-equipped Coast Guard has to borrow ships from the Navy to guard India’s coastal line. This is more to do with red-tapism within the system rather than a minister himself. Khanduri spoke about an inherent flaw in the system, which even a man with such high integrity as Antony is unable to eradicate. In a sense, he is more of a victim of the system himself. The Indian media also must own up its responsibility in the all-round confusion and disparity plaguing the Armed Forces today. After all, it is the Fourth Estate and the onus falls on it to hammer the warnings against the wrongdoings and mismanagement within the Armed Forces before it’s too late. One minister, howsoever clean and transparent he may be, cannot take the blame alone. Keeping her focus on the big picture that could emerge after the Lok Sabha elections, Chief Minister and AIADMK general secretary J Jayalalithaa on Monday reached out to defence personnel by promising to make every effort to augment the country’s military capabilities to put India on par with the global superpowers. Also, welfare of personnel of all three armed forces would be high on her party’s agenda, she said. Jayalalithaa said her government in Tamil Nadu had been extending unprecedented concessions to the police personnel so that they could discharge their duties with a greater sense of patriotism. A lot of measures had been taken to modernise the State police force, making it a model worthy of emulation, she asserted. “The AIADMK will strive to make the Indian Army a model for the rest of the countries in the world. All modern equipment required for modernisation of the three armed forces would be bought. In sum, the defence capabilities of the country would be upgraded on par with that of the superpowers in the globe,” Jayalalithaa assured. “Besides, all possible concessions would be provided to the armed forces personnel so that they feel there is a government to take care of the welfare of their families. This would encourage them to discharge their duties with enhanced enthusiasm,” Jayalalithaa said. Charging that the allocation for the defence sector made in the UPA’s interim budget was the lowest since Independence, Jayalalithaa said long-term plans for modernising the armed forces had merely remained on paper. On the industrial growth of the country, Jayalalithaa said due to the wrong economic policies pursued by the UPA government, the quantum of export had come down drastically and the value of the rupee also had depreciated. Stating that corruption had been the watchword of the UPA regime during the past 10 years, Jayalalithaa listed the mega graft cases that happened under Manmohan Singh’s watch as prime minister, including the 2G spectrum scam, the coal scam, the Augusta helicopter scam and Commonwealth games scam. 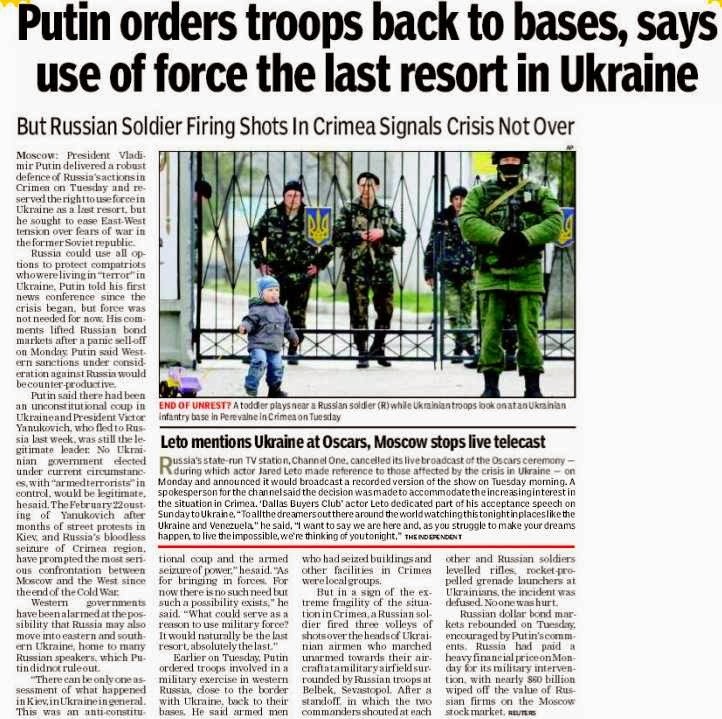 “It is our duty to oust the UPA he armed forces had merely remained on paper. Meanwhile, Jayalalithaa urged the electorate to use their vote to change the nation’s destiny by putting an end to the decade-long dynastic rule at the Centre. Introducing AIADMK candidate for the Kancheepuram (SC) seat, Maragatham Kumaravel, she appealed to the voters to elect her and promised that the party nominee would look after the constituency well and fulfil the needs of the people.